Former Moscow expat Jenna Makowski breaks down the Russian capital’s avoidable attractions…and what you should do instead. 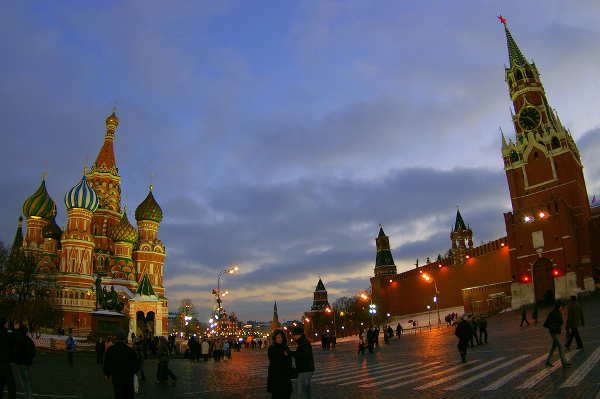 Red Square is, literally and figuratively, the center of Moscow. The iconic onion domes of St. Basil’s Cathedral and imposing walls of the Kremlin are indeed worth seeing. But don’t spend all your time there. Overrun with tourists and street vendors hawking piles of mass-marketed souvenirs, the atmosphere of Red Square is not representative of Moscow. The neighborhood of Kitai Gorod rivals Red Square in architectural beauty, without the excessive crowds. A walk along Varvarka Street (heading east from the rear of St. Basil’s) leads past centuries-old churches into Kitai Gorod. Include a walk up the hill along Solyanskiy Proyezd toward Zabelina Street and the Ivanovsky Monastery. The small monastery-run café, with freshly baked bread and homemade soups, sits at the top. 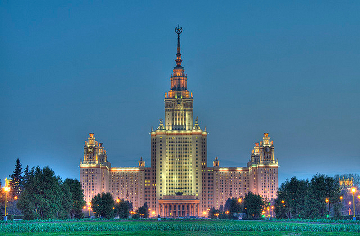 Located in the southern suburbs is Moscow State University (Uniwersytet metro stop), with a young student population and green, tree-filled campus. It’s a great place to bicycle or picnic during the warmer months. Don’t miss the wedding-cake-shaped building dominating the center of campus. One of seven identical buildings constructed by Stalin, its Soviet-era style provides a stark contrast to the older, pre-Revolution architecture of Kitai Gorod. Similar to the Louvre, you could spend days wandering the halls of the Pushkin Museum and only skim the surface. The massive crowds further hinder your progress. 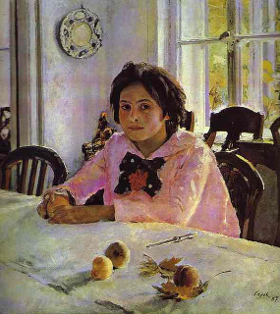 The collection at the Tretyakov Gallery features Russian artists. It’s organized chronologically, so that a walk through the museum guides you through three centuries of Russian art history. Separate buildings house the core collection of 18th- and 19th-century art (Tretyakovskaya metro stop) and the extended collection of 20th-century Soviet art (Oktyabrskaya metro stop). Tickets are 300 roubles (about $10). The last two centuries also saw a proliferation of Russian literature. Many authors lived in Moscow, in beautiful estates that have been well preserved as museums. The Leo Tolstoy estate (Park Kultury metro stop), where the author spent his final years writing the novel Resurrection, contains a collection of period furniture and belongings. The Nikolai Gogol estate (Arbatskaya metro stop) presents interactive exhibits about the author’s life, and the fireplace into which he threw the sequel to Dead Souls. Admission to both museums is 100 roubles (about $3); each is small and easily doable in a few hours. A tour of the Kremlin is an all-day event, with six different churches and museums to visit and expansive grounds to walk. Don’t try to fit in anything else. Entrance to the Kremlin will likely involve a long line. Compounded by an inflated price for non-Russians and a potentially grumpy ticket agent (who probably won’t speak English), the experience can become overwhelming. Take a deep breath. Extra patience is needed to get Armory tickets. The Armory, a separate museum in the Kremlin, houses the famous Faberge Eggs and two floors of gold, silver, diamonds, rubies, and other jewels from the former tsarist estates. It’s a worthwhile add-on. Entrance is only granted at designated times (10:00, 12:00, 2:30, 4:30), and tickets must be purchased separately, 45 minutes before entry. My first two attempts failed, as mobs clustered around the windows elbowed me out of the ticket race. I was successful on my third try, learning that the earliest admission slot also has the mellowest line. Moscow is a city of perpetual traffic jams, hazy road rules, and questionable lanes. It’s difficult and expensive to rent a car, and there’s the ever-present possibility of an arbitrary pullover and bribe request. 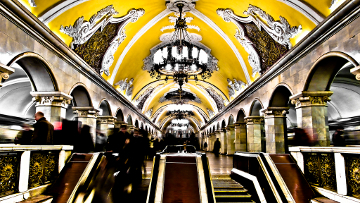 The Cathedral-esque arches of Komsomolskaya Station and the marble columns of Mayakovskaya Station are standouts. And with trains running every 40-60 seconds during rush hour, the experience is sure to be an efficient one. Restaurants such as Taras Bulba Korchma are expensive chains, with waitstaff dressed in colorful but ambiguous folk costumes. The experience doesn’t represent local eating patterns. Instead, find a stolovaya. These choose-and-point cafeterias are popular remnants of Soviet days, and the food is freshly prepared. Typical lunch options — soup, cutlet or fish, potatoes or buckwheat, and juice — are an inexpensive taste of everyday Russian food. For an afternoon snack or dessert, look for stands serving blini, paper-thin pancakes stuffed with fish, sour crème, or chocolate. Moscow is overwhelmed by gray cement housing blocs. A few days of walking through the residential areas may leave you wondering if you’ve become color blind. There are numerous parks throughout the city, providing miles of walking paths through evergreen forests and green fields. Two especially impressive parks are Kolomenskaya (Kolomenskaya metro stop) and Tsaritsino (Tsaritsino metro stop). 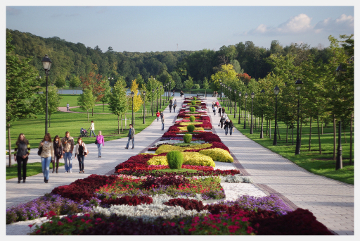 Both former tsarist estates, these parks surround centuries-old churches and palaces. They’re especially colorful during the springtime tulip season. Buying a mass-produced nesting doll from a persistent street vendor may be tempting, especially as you wander central Moscow. But think outside the doll. A creative gift idea is an antique from a local flea market, such as Izmailovskaya Park (Izmailovsky metro stop). Walk to the back of the market, where local artists exhibit their work next to vendors selling items straight from grandma’s attic. An interesting store is Baboushka (Barrikadnaya metro stop, 1 Kudrinskaya Pl). Its five-room collection includes everything from silverware to Christmas ornaments to picture frames, dating from the 1930s through the 1980s. And everything is for sale. A Matador contributor ponders the questions, Should People of Color Go To Russia? Update: Which cities are burning through your money now?